What We Talked About At ISA: Critical Pedagogies? There is something seductive about the idea of critical pedagogies. In an age where the figure of academic is beset on all sides by voracious spectres – the Taxpayer, the Minister, the Entrepreneur, the Curious Public, the Student-Consumer, the Management Consultant – it offers the idea that what happens in the classroom may still matter. More than matter: might in some way emancipate. This promise is perhaps particularly strong in academic International Relations, where those of various ‘marginal’ persuasions might argue that teaching against the grain undoes the destructive commonsense of global politics. That critical pedagogies help us bring back in the human, the ethical, the powerful, those daily experiences shot through with international politics, although our students don’t always see it. Even the titles hint at grand transformation: Pedagogy of the Oppressed! Don’t get me wrong. I want to be seduced. More than that, I am all too ready to concur with many who also sat on the panel (‘What Do We Teach? How Do We Teach It? : Critical Pedagogies and World Politics’) convened by Meera in San Francisco (they were: Naeem Inayatullah, Laura J. Shepherd, David Blaney, Andrea Paras, Daniel Bendix and Chandra Danielzik). To agree that, since so much mainstream International Relations speaks the discourse of power, it is necessary to reveal its fictions and silences. To agree that narratives and memoirs have their place, alongside such ‘political’ terms as racism, patriarchy and class. To agree that it is better to start with Todorov and The Conquest of America than it is to begin from a world of ahistorical self-help states. To agree with programmes for interventionist anti-racist education. But I am also somewhat cautious. Some of that might be read as a spur to critical pedagogy by another name, and some as a delineating of criticality’s limit, at least insofar as that term is often discussed. Call these somewhat speculative micro-interventions the unapologetic curriculum, marginal resistance and real academic politics (always with the rule of three). 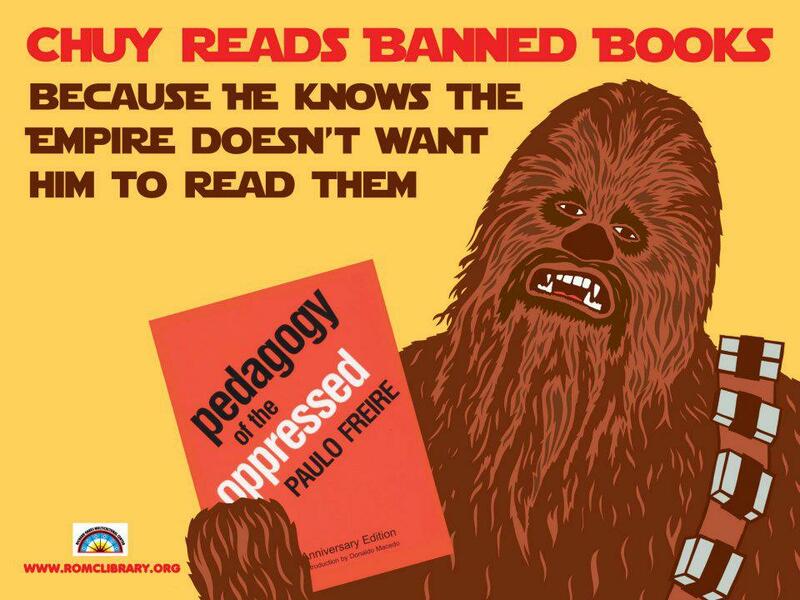 First, on the unapologetic curriculum. Anecdotal evidence suggests that critical teaching in IR usually proceeds via a standard method: students are exposed to the conventional edifice (Realism, Liberalism, sometimes Constructivism, very occasionally Marxism/Structuralism), which is taught somewhat askew, before being introduced to a range of critical views that undermines the canon and opens up a wider critical vista (usually taken to mean Critical Theory, Post-Structuralism, Feminism, Post-Colonialism, and then maybe a really marginal topic, like Queer Theory or Autoethnography). The point, justifiably enough, is both to convey the Mainstream and to unsettle it, setting out IR as discourse of power while providing the tools to deconstruct it. But does this not unintentionally do ‘the critical’ a disservice? Take the post-colonial view of global history (if we can assert the unity of such a thing briefly in terms of understanding the international in terms of empires, their resistors and their aftermaths). Compared to the visions of system structure or complex inter-dependence, this story is not just more politically charged in some nebulous sense. It is also more true. Nor do we find ourselves in a historical moment where counter-narratives lack epistemic warrant. The texts exist, are legitimated by the imprimatur of academic publishing houses, and have their own substantial histories of dialogue and debate. So why not start with them? Teach the controversies, fersure. Allow for many alternative interpretations of the evidence, by all means. Push students to challenge the empire-centric account, do. But don’t apologise for it by putting it after the usual story (for “usual”, read: “the version ahistorical IR parochialists tell themselves for the sakes of parsimony”). It would be strange for anyone to graduate from an IR programme not knowing what ‘Realism’ is (or not knowing the difference between a Carr and a Waltz, or a neo-conservative and a neo-classical). But understanding the state of the discipline isn’t the same thing as foregrounding its self-mythologies. We know, for example, that our current teaching doesn’t reflect the actual distribution of perspectives (recall that 16% of IR scholars call themselves Realists, but 37% of survey respondents use more than a quarter of their introductory courses teaching it). Let us have compulsory courses in the intellectual history of IR, but not a iterated call-and-response in which the critical always comes second. Perhaps this is a generational difference, perhaps one founded on the privilege of never being made to always progress through the ‘American Science’ in any any given argument. Either way, I want to suggest that we stop thinking of teaching as the job of conveying the same sense of embattlement against a Mainstream that frames critical IR’s story of itself. And, in the process, move from unapologetic to militant. To haunt the corridors and panels of that same Mainstream and demand explanations of why there is no empire in their course outlines. And so, second, to marginal resistances in the classroom, cutting somewhat against the grain of unapology. Assertiveness in pedagogy reinforces the project of ‘criticality’ in teaching whilst not fetishising its terminology. The point is that repeated insistences on the ‘critical’, especially to the ears of the by-definition uninitiated (students are, after all, paying to be initiated, if not only for that), may just as easily re-inscribe marginality as overcome it. Not least when the critical gets the dregs of term’s end. 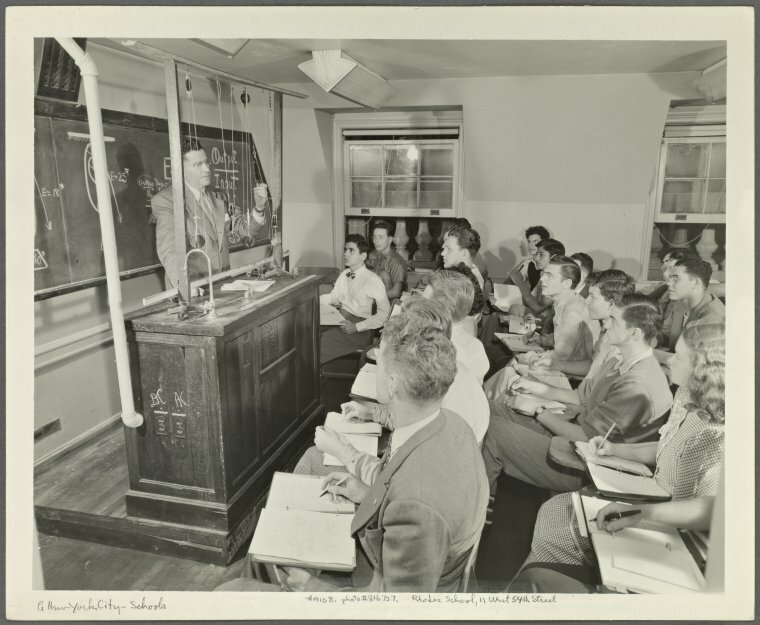 In the classroom, which acts as a kind of imagined space where students will break the bonds of standard theory, this tempts us to repeat the contributions of the critical, indeed to insist on them (especially if, as for many precarious labourers, the classroom is a space of rare autonomy). And yet this produces a paradox, one raised at ISA in the panel on teaching gender and war. As someone put it, we want our students to resist and critique all kinds of arguments, except ours. When it comes to pedagogy, I take this to mean that we cannot measure the criticality of our practice by how many students end up agreeing with us. I’m not sure that this is what anyone proposes, but is it not the implication of finding the critical not in a procedure of thought per se, but in an acceptance of certain counter-arguments to the Mainstream? I do not mean that we should live in fear of comments that our teaching is ‘political’, a judgement likely inevitable, not least in those spheres where the substance of scholarship is weighted so much against everyday commonsense. But Weber’s point about uncomfortable facts retains its value, and it goes for ‘us’ as well as ‘them’. In other words, while criticality may entail being more assertive in course design and substantive material, it may also suggest being less controlling of the classroom. Which leaves only real academic politics (deliberatively provocative, tongue partially against cheek). There is a kind of classroom contract at play in many places, one which repeats conventional accounts of Enlightenment rationality (question everything!) but only within a prescribed space (the hour or two a week of ‘contact’ time). Although a pedagogy of the oppressed clearly goes beyond this (whoever we decide ‘the oppressed’ are), discussions of IR pedagogy seem to remain quite tightly attached to that space. And yet the pre-conditions for any criticality in pedagogy clearly exceed the classroom by orders of magnitude. They include, amongst others, questions of national secondary school curriculum, socio-economic class, fees and debt, precarity in academic labour, access to knowledge, managerialism, privatisation, instrumentalisation and global ‘knowledge economies’. We of course know this, and sometimes say so. But if ‘pedagogy’ comes to mean mainly the what and how of teaching, and not everything that lies behind, beneath and across from it, the conversation will be an impoverished one. So when we reorganise lectures on strike days, or view the satisfaction of student wishes as unquestionably primary, we privilege the classroom at the expense of a wider understanding of the contemporary university. We get close to an expanded sense when we start talking about class sizes. There were, for example, audible gasps on the day of the panel at the contrast between David Blaney’s first year student numbers (a dozen) and Laura Shepherd’s (getting on for 600). This alone suggests that we need to keep in view the processes that bring students to the classroom in the first place, and to ask questions about our responsibilities in such arrangements. It also raises some uncomfortable dilemmas. Many (but not all) of us teach in situations of comparative privilege: liberal arts colleges, Russell Group universities, training schools for socio-political elites, repositories for the middle-class youth of hegemonic states. What, after all, does it mean to pour emotional resources and labour time into additional provision for those students (assuming that engaging the critical often means working harder at teaching than you would otherwise have to)? If this is free labour, to whose benefit is it? And what is the implied model of action behind such a strategy? That, faced with the force of critical thinking, those students will abandon their accumulated social benefits and comfortable commonsense? That they will be won over by the force of better argument alone? Some surely will be. And it seems churlish to dismiss that dialogue as ephemeral (nor do I mean to). But the affective labour of critical pedagogy in the more narrow sense is not without its opportunity costs. So we should perhaps be judicious, as well as bold, in our academic dreams. excellent comments Paul. I utterly agree with the “marginality” thing. It simply does not describe the current make up of ISA. The majority of recent entrants into ISA have been non-North American (mainly europe based), and non-political science. It’s clear to me that even if bombs and guns and datasets still are the majority, there is no way that the rest is now marginal. It is an accepted heterodoxy. even if begrudgingly accepted by some, and even if structures still tend towards certain approaches, areas etc. But to speak of the rest as marginal is not true. There is an LGBT section with a vote on governing council!!! Where the marginality lies is mainly nowadays in non-English speaking and non-West locations. That is PROPER marginality. With pedagogy, i think you are onto some spot on ideas, and the wider context is crucial. Let’s not, though, presume that all our students even in Russell Group are “traditional” tertiary background. They are not. In fact, I actually think that the enlightenment premise of “question everything” (= criticality) is not that helpful sometimes, and in fact at times can be provincial rather than critical. Sometimes people from non-traditional backgrounds need to affirm that their context and background is part of a bigger system and that they can indeed foster something of general importance from it to contribute. For example, to do a whole seminar on the social construction of race and how it’s not really real, and that’s the most “critical” thing to say about it.. well, that does nothing for those of us who have an experience of that thing that requires us to redeem something positive from it as a gift to the world rather than breath an apparent sigh of relief that actually its all socially constructed. lol . criticality can come in other forms, and perhaps, have deeper challenges to the comfortable criticality of white male middle class “we are already in the story so we can comfortably deconstruct it” attitude. Big issues, eh? Is the impact agenda both an opening as well as a threat? To echo Robbie, I have been pushing more gendered, queer and feminist sensibilities from the outset in courses without the courses themselves having those frameworks imagined in them (i.e. departmental standard courses). It cuts several ways, either they were able to maintain their critical sensibilities alongside my pedagogy (which had negative consequences for the CSL project); that critical sensibilities can’t undo the politics students bring to the classroom, especially if it unsettles the wrong things; or of course that I went wrong in the ‘teaching’ of critical thinking (which is entirely possible but harder to figure out). I also wonder if some of our critical theories don’t require the canon in order to develop their criticism, as I often find that students trying to mimic critical sensibilities often have a distorted view of the canon that can undermine their arguments. I taught a full year course with half dedicated to the canon and half completely divorced from it, and student preconceptions and non-academic sensibilities often determined the quality of assignments. I had some of the best work I have seen alongside genuine student struggles to reconcile the two terms. In any case, this is a great post as I can see lots of connections and insights, wonderful stuff! Really interesting Paul (and Robbie’s comments, too). But I wonder about the ordering question. Isn’t one reason that the critical comes second that it so often positions itself as a response to/rejection of orthodoxy (perhaps less so now, but certainly in the past). And isn’t part of the problem there the very construction of the orthodoxy which critical approaches present and thereby reinforce, such that, for example, realism is ahistorical and devoid of ethical content (have any of those who argue this even looked at the contents page of Politics Among Nations)? The real point, it seems to me, is to reach a judgement about what is valuable, in both mainstream and critical IR (and outside “IR”, of course), tempered by the need to teach in a way that cultivates exploration/critique in students themselves. Thanks muchly y’all, and apologies for the lag in replying. Robbie: I agree that students in highly ranked/research-intensive universities are not a homogenous group, but I think the basic question still stands: if we take seriously the social positions of students and their likely pathways once they graduate, what does that do to assumptions about the impact of our ‘critical’ teaching, and should we not think more about not just the what or teaching, but also the who? More interestingly, what does that entail? Community out-reach, ‘Tent State University’-type volunteering, heavy lobbying and involvement in secondary education issues? I mention those options without really having any good sense myself of what the answer is. Perpetual Adjunct and Adam: the question of the canon was raised in the session on pretty much these grounds (i.e. that we teach the standard narrative the better to deconstruct its power effects). I think this is true in lots of ways, but also that it can become a one-size-fits-all model and that at least in relation to some courses – say, ones on war, current affairs, 20th century history, ‘polities’ and the like – there are good reasons not not to foreground a ‘mainstream’ cannon by teaching it first. I think critical courses on the intellectual history of the discipline, if delivered on a compulsory basis, can cover these issues well without letting them saturate the entirety of ‘IR’ or global politics classes as an exchange between centre and margin. Indeed, I think this kind of standard ‘critical’ framing can easily lead to the simplifications Adam identifies, in which quite one-dimensional criticisms are levelled against canonical texts, which only reinforces the sense of monoliths of ‘Realism’, ‘Critical Theory’, or whatever.